This guest blogpost is from Colin Pattinson - a digital and technology (DAT) fast streamer. 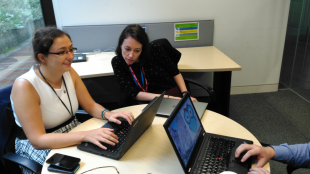 Colin took part in the IBM challenge during his placement in the Department of Health Digital Strategy team. This post was written in collaboration with Amanda Mcmenamin (DAT fast streamer) and IBM graduates Andrew MacLachlan and Naomi Walker. 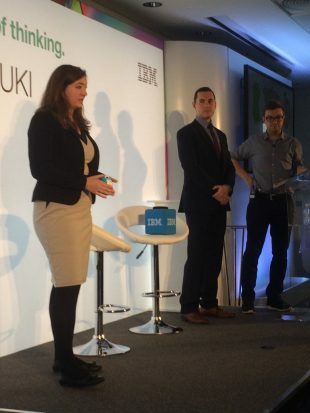 I took part in the Millennial Challenge competition, where IBM graduates and civil servants work as a team to address a problem that government faces today using digital and technology innovation. Me and my fellow DAT fast streamer Amanda joined IBM graduates Naomi and Andrew. We were encouraged to think about how public services will work in the future and make sure that our idea was feasible enough to put in place today. We started by running a discovery phase and used IBM Design Thinking methodology. Andrew from IBM created a working prototype to showcase the feasibility of the project. Hoot would encourage children to eat more healthily and exercise more via gamification – by making it a game. Children would collect points for being healthy and receive badges for particular achievements. Hoot can reply back to the child in order to inform and encourage them further. Children would be able to compare their points with other nearby Hoots, creating ‘healthy’ competition. Children would say what they ate and when they exercised through various inputs such as a camera, an accelerometer and directly through a microphone. These various inputs would make the gadget accessible to all children. The evidence we collected suggests that Hoot would be a worthwhile pursuit. The relatively small costs involved to produce and pilot a device could have a big impact on our target age group. In early October we presented at a Whitehall event - and Hoot was victorious! The panel of civil servants and IBM staff commented on Hoot’s potential to do good, our research, which underpins the idea, and our methodology. We were invited to speak at a large event organised by IBM on the Southbank, attended by Nick Robinson (BBC) who said he wanted a Hoot if it were ever released. Colleagues from Public Health England and the Home Office have also been in touch with our team about Hoot. Our commitment to running a discovery paid dividends. 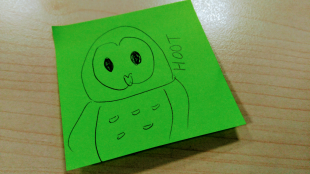 We anticipated many of the panel’s questions and – despite having a rather unusual product – we had enough evidence to show why we produced the Hoot prototype. It also really helped that the team enjoyed working together. Having a great camaraderie made all of the hard work that little bit easier! Even if Hoot as an idea fades into the distance, the experience of running a discovery with a great team and having the opportunity to attack a meaningful problem was genuinely rewarding and a worthwhile experience. Subscribe to this blog for more updates from the DH Digital team.